‪Join us! 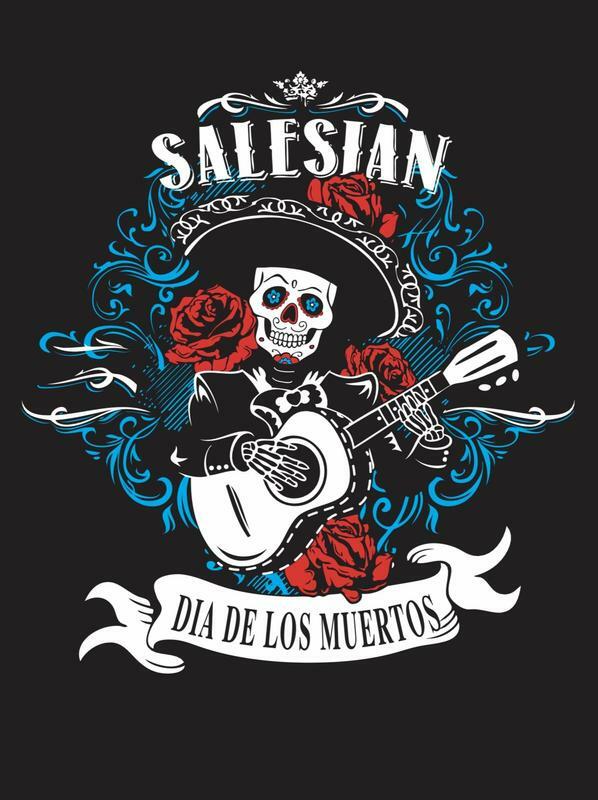 Salesian High School’s Spanish Department invites you to the 10th Annual Dia De Los Muertos community celebration on Friday November 2, 2018 from 6:00pm-8:00pm. Click on this story for more information. Student altares will available for viewing. Posole, champurrado, and other treats will be available for purchase and live mariachi music will be played. T-Shirts may be pre-ordered through the school's finance office. A limited number of t-shirts will be available on the day of the event.